Attension is invited to the DoPT’s O.M. No.8/10/2008-JCA dated 20.08.2018 on the above mentioned subject. The O.M. is available on the website of DoP&T at the following path “www.persmin.nic.in -> Department of Personnel & Training (DoPT) -> O.Ms & Ordres -> Establishment -> JCM.” The O.M. will also be available on the website of Ministry of Defence i.e. 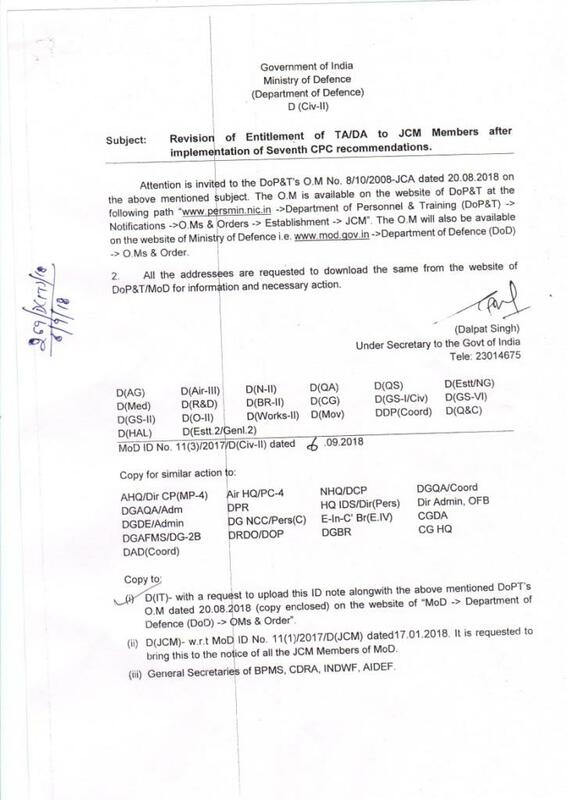 www.mod.gov.in -> Department of Defence (DoD) -> O.Ms & Order. 2. All the addressees are requested to download the same from the website of DoPT/MoD for information and necessary action.